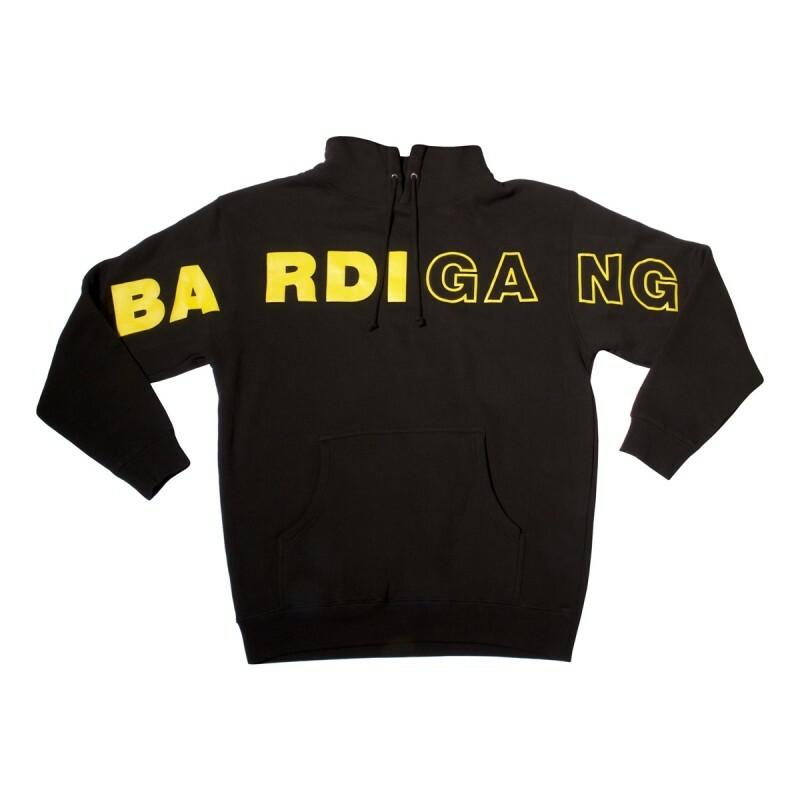 Represent Bardi Gang with the black 'Bardi Gang' Hoodie! This black oversized pullover hoodie features 'Bardi' printed in yellow bold text with 'Gang' next to it in black with a yellow outline. Unisex fit.